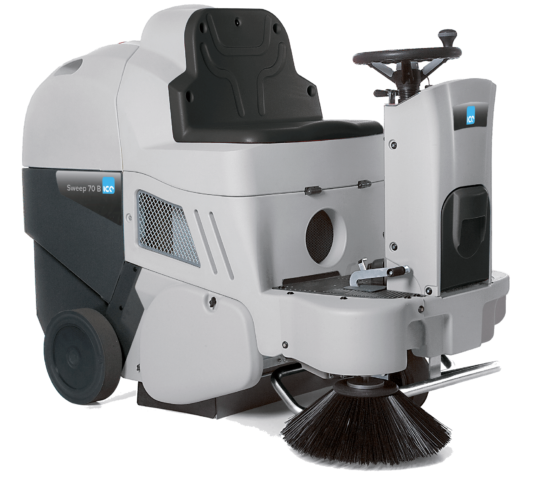 The ICE Sweep 50 is a compact walk behind sweeping machine with a working width of 65cm. Cleaning corners and along walls is easy thanks to the side brush. The handle bar grip is made of comfortable plastic material allowing for ease of use for operators. This machine is available in either battery and petrol. 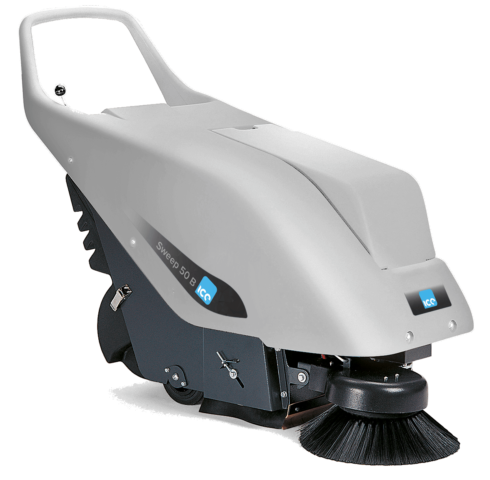 The ICE Sweep Litter is a battery powered leaf and litter vacuum that has been designed to provide a high performance using its unique suction vacuum to handle stubborn areas of collection. 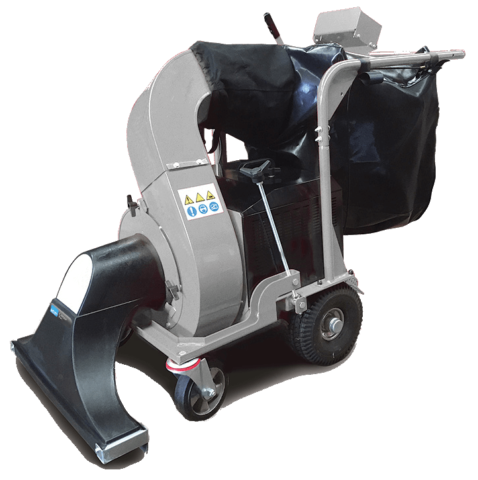 The ICE Sweep Litter has a turbine wheel that generates air ow for an extremely powerful suction process. 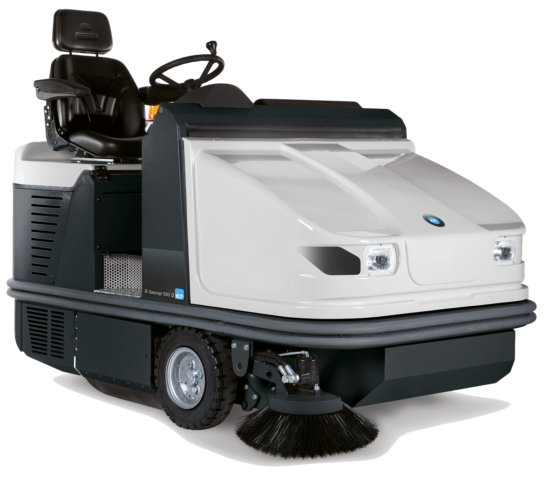 The ICE R Sweep 60 is a ride on sweeping machine suitable for both indoor and outdoor spaces. It has a working width of 60 cm when using the central brush, and 100 cm with both side brushes (optional). 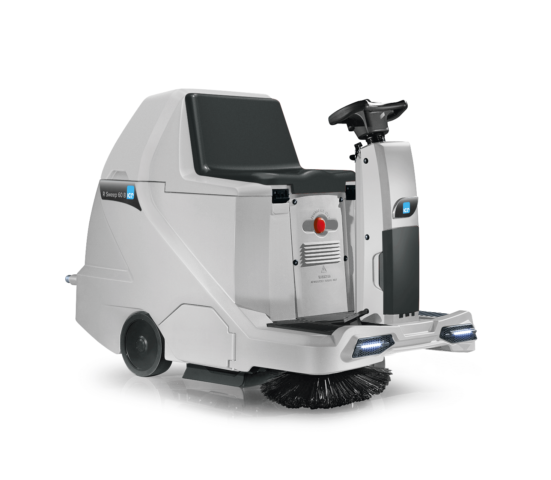 It is comfortable, easy to manoeuvre and guarantees excellent cleaning results even on carpet floors. 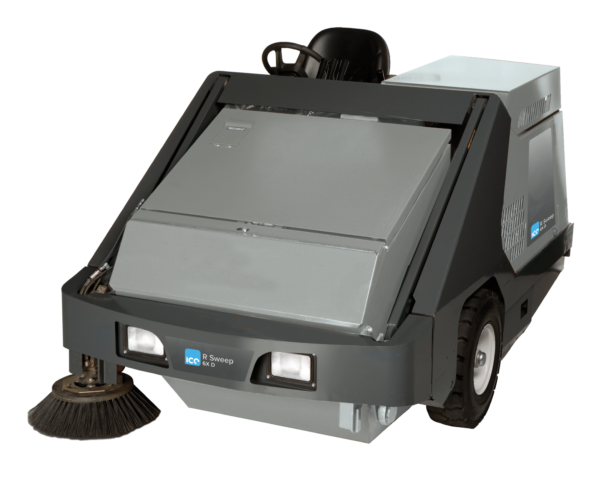 The ICE R Sweep 70 is a sweeping machine suitable for commercial and industrial cleaning of surfaces up to 10,000 square metres. It is a ride on sweeper with automatic traction, and is powered by either battery or petrol motor. It has a 70cm working width when using the central brush. 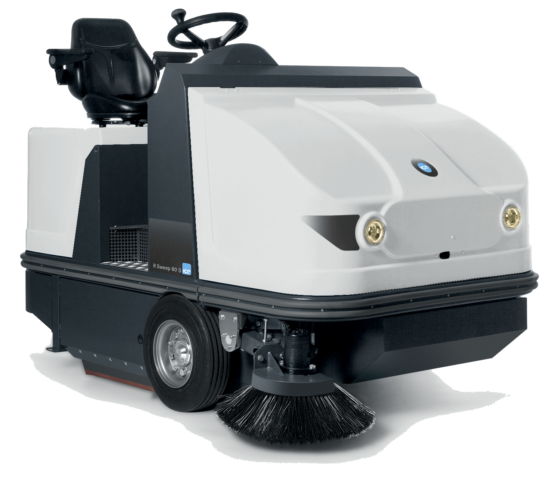 The ICE R Sweep 80 is a sweeping machine that is suitable for cleaning the most resistant dirt on both indoor and outdoor surfaces. It is ideal for spaces of up to 20,000 square metres. The ICE R Sweep 100 is suitable for cleaning the most resistant dirt on outdoor and indoor surfaces such as those of department stores and car parks up to 30,000 square metres. The ICE R Sweep 130 is a highly manoeuvrable compact machine that can handle even the most demanding sweeping requirements. This machine is available in LPG, Petrol & Diesel. 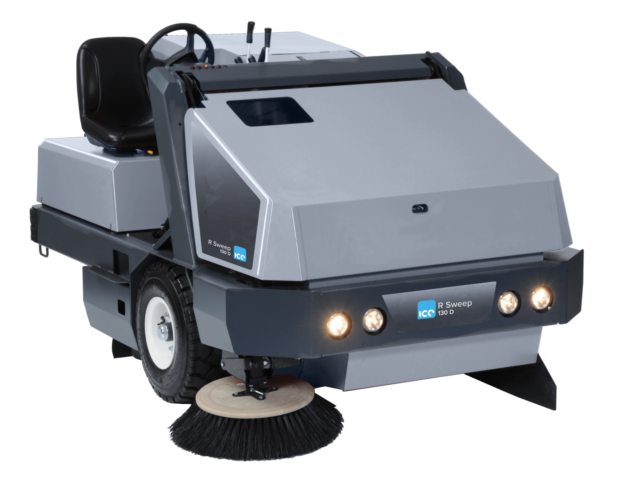 The ICE R Sweep 6X is a quality, cost effective sweeper that will provide years of consistently reliable service. This machine is available in LPG, Petrol & Diesel.